The Makita 18V LXT Lithium-Ion Cordless Blower Bare Tool BUB182Z has a Makita-built motor that produces a maximum air velocity of 179 MPH and a maximum air volume of 91 cfm. With this much blowing power you may either have to set up a perimeter or warn the neighbors and the kids not to inadvertently walk in front of you while your clearing off the lawn for fear that they may get blown down the driveway and into the street. Besides it’s great power this Makita motor also has variable speed settings that can be configured between 0 – 18,000 RPM’s, for optimal speed control. It also has a convenient compact design that at only 20-3/4″ long, weighs only 3.9 pounds. That is a lightweight and compact design that anyone who has braved lawn maintenance in the middle of the summer in the Mojave can appreciate. To further promote operator comfort Makita gave the BUB182Z an ergonomic shape, thats fits like a glove, and which promotes even pressure displacement and easy control. Finally, there is also a soft grip handle included that provides further comfort on the job. The Makita BUB182Z 18V LXT Lithium-Ion Cordless Blower (Bare Tool) runs on the LXT Lithium-Ion battery and optimum charging system. This system is superior to other systems in that it produces 430% more total lifetime work while also providing 2.5 times more charging cycles over the life of the battery. Furthermore, the system offers up to 12 minutes of continuous operation from a single charge at high speed. In addition, Makita’s premier battery technology also offers 5 times less self-discharge, allowing use anytime, as well as 16 firm contact terminals that deliver consistently high power. 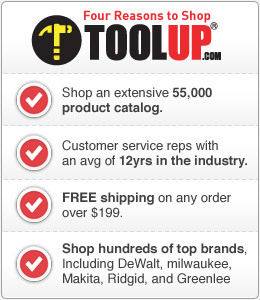 Finally, Makita backs up their claims by offering a 3-year manufacturer’s warranty on the tool. Note that the BUB182Z is a bare tool with the battery sold separately.